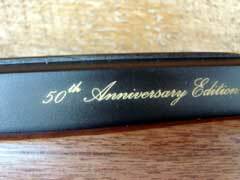 2010 celebrates the 50th anniversary of the Marlin Model 60. The Model 60 is the most popular rimfire rifle ever produced, and today is still one of the most popular rifles in America. 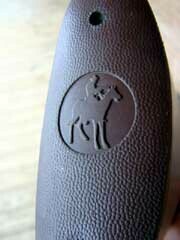 Since its introduction in 1960, there have been well over eleven million Model 60 rifles produced. It used to be that almost every producer of rimfire autos had at least one model with a tubular magazine, but today, detachable magazines are more prevalent. 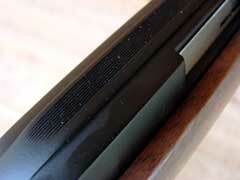 However, I still prefer a tubular magazine on a rimfire rifle. They are very unobtrusive, hold a fistful of cartridges, and are just a very handy way to feed a rifle. The magazine on the current Model 60 holds fourteen cartridges, but depending upon whether it is loaded with the bolt locked open or not, it will hold fifteen. The Model 60 has a nineteen inch barrel, but in previous years, the rifles were produced with barrels as long as twenty-two inches. The nineteen inch is a better choice, and of course, the Model 60 has Marlin’s Micro-Groove rifling, with a one-in-sixteen inch twist. Back to a bit more history. 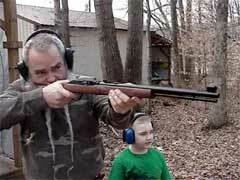 In the days of my youth, growing up in the 1960s and 70s, tube-fed twenty-twos were the mainstay of our armament. 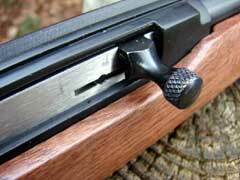 When going out squirrel hunting, there was no need for a pocketful of cartridges, or a cartridge holder on the belt. For most years, 1969 excepted, the limit in Tennessee was ten squirrels, and there was plenty of ammo in the magazine to collect the limit, with a few spares for misses. In 1969, there was a gray squirrel population explosion in the South, and Tennessee took the limit off of grays. A fellow could kill and possess all that he could use. It was not unusual back then to sit under a hickory or oak, and harvest a dozen or more squirrels without ever moving to another tree. 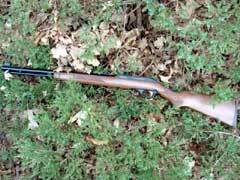 My first Model 60 was a well-used rifle that I bought for the grand sum of five bucks. It looked pretty rough, but that rifle was perfectly reliable, and as accurate as a match grade Anschutz! I put many thousands of rounds through that rifle at a penny a piece, and had lots of fun shooting at hanging hickory nuts up on the ridges or at sycamore balls down by the creek. Hitting those targets was easy with the Marlin’s open sights and my young eyes, but these days I prefer a good scope sight on a rimfire rifle. 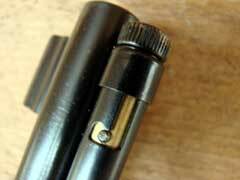 One of my favorites is the svelte little Leupold 2 to 7 power compact rimfire scope. It has a one inch tube and a 28 millimeter objective lens, quality glass, and is a Leupold. Excellent little scope, and matches up perfectly with this Marlin. 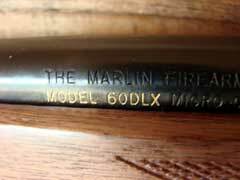 The Marlin Model 60 has always represented a great rifle at a great value. While other rimfire rifles have come and gone, the Model 60 remains. Even today, there are several variations of the Model 60 available, but the best of the current crop is featured here; the Model 60 Deluxe. 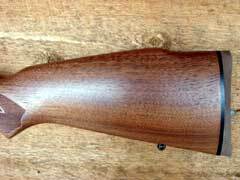 Most Model 60 rifles that I have seen, owned, and used over the past decades have been built of blued steel and a plain hardwood stock. 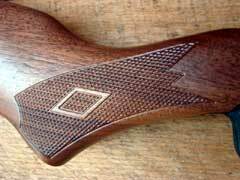 One of my Model 60 rifles had an impressed image of a squirrel on the stock, but most of the stocks were plain hardwood with no impressions or checkering of any type. The Model 60 Deluxe featured here wears a genuine American walnut stock with cut checkering. 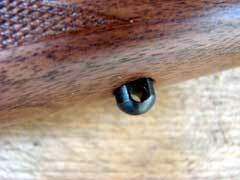 The Model 60 Deluxe also has factory-installed sling swivel studs, as should any hunting rifle. 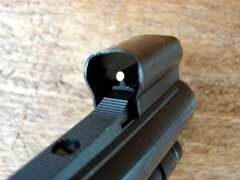 The stock is well-designed, with a Monte Carlo cheek piece and a pistol grip. 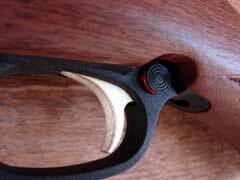 The checkering is both good-looking and functional. The sights consist of a white bead hooded front and a step-adjustable rear. 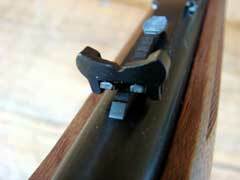 Very good sights for a rimfire rifle, and they are made of steel, as they should be. The rear sight folds down for use with a scope sight, and the Marlin’s receiver is grooved for easily mounting a scope in tip-off rings. While weighing in at a trim five pounds, four ounces on my scale, the Model 60 still has a good “adult rifle” feel to it. Many rimfire rifles feel like a kid’s gun, but the Model 60 has a well-balanced, good-handling feel to it. 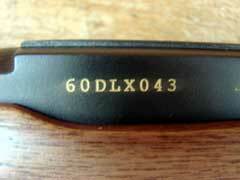 The nominal weight listed by Marlin is five and one-half pounds, but the weight can vary a bit due to the wood’s density. 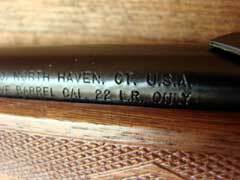 With the currently-produced nineteen inch barrel, the overall length of the Model 60 is 37.5 inches. 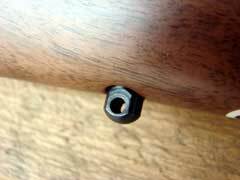 Another feature of the Model 60 that I really like is the bolt hold-open feature. 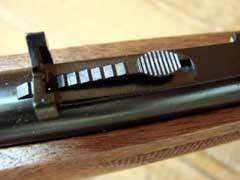 It can be manually activated to hold the bolt in the open position, and it also locks the bolt in the open position after the magazine is empty. 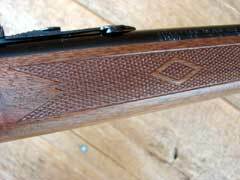 Many rimfire autos lack that feature, and it is a welcome one on the Model 60. While Marlin currently catalogs six versions of the Model 60, my favorite, and the one shown here in Deluxe trim, commemorates the fiftieth anniversary of this classic rifle with some special engraving on the receiver, and some gold-colored filling of some of the barrel markings. 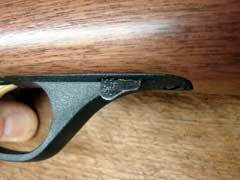 These features, along with the walnut stock, dress up the basic Model 60 a bit. It is a very good-looking rifle. 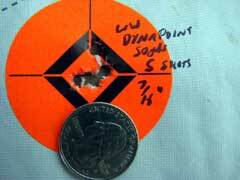 Shooting the Model 60 resulted in no surprises. 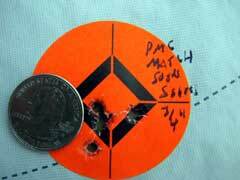 As expected, the rifle functioned perfectly with a variety of ammunition, and the accuracy was outstanding. 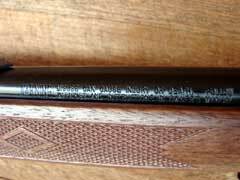 I tried many different types of twenty-two Long Rifle ammo in the Marlin, and there were no failures, except for one bad cartridge that would not fire. The last lot of bulk Federal hollowpoints that I bought have had several dud cartridges that will not fire in any weapon. This is usually very good ammo, and was really surprised to get this recent bad batch. Anyway, the Model 60 fed, fired, and ejected every brand of ammo tried. For accuracy testing, I mounted a Burris 6 to 18 power scope atop the receiver in tip-off rings, and proceeded to fire, testing for accuracy from a rest at the fifty yard range. 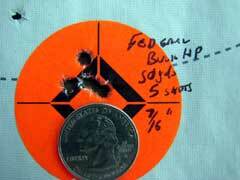 Several types of ammo, even the cheaper stuff, grouped into under one-half inch at fifty yards. Outstanding accuracy! Even my favorite 22 Long Rifle hunting round, the Winchester Dynapoint, grouped like it was match grade ammo from a thousand-dollar rifle. The trigger pull measured just over four pounds, which is a bit heavier than I like, but much better than most competitive rifles on the market. 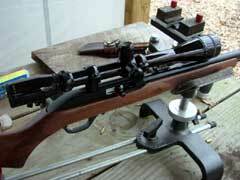 This Model 60 is much more accurate than its low price would indicate. The Model 60 is also much more than just a casual plinker. While it is certainly fun to shoot, it has the accuracy and handling qualities to make it a primary hunting rifle that would last a lifetime, and more. The 50th Anniversary edition is a fine-looking, good-shooting rifle that is fitting to commemorate this classic rimfire rifle. The Model 60 Deluxe is built right, built of quality materials, and built in the USA. 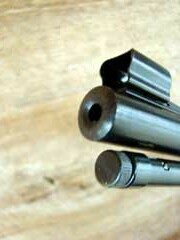 Check out this and other Marlin products online at www.marlinfirearms.com. To order the Model 60 Deluxe online, go to www.galleryofguns.com. 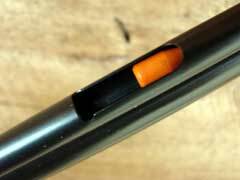 Accuracy testing showed the little Marlin to be a real tack-driver. 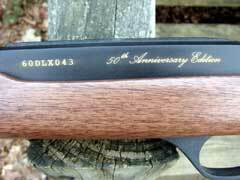 Marlin 50th Anniversary Model 60 Deluxe .22 rifle. 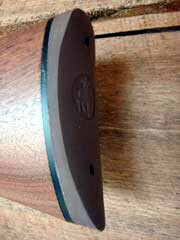 Receiver is grooved for scope mounts.